Gov. Larry Hogan, with Lt. Gov. Boyd Rutherford (left) and Budget and Management Secretary David Brinkley (right), gives a preview of his proposed budget for fiscal 2019. Among the cuts are $5 million from a mentorship and scholarship program for students in high-poverty areas, $5 million from extended afterschool and summer programs, and $9 million for a teacher development and mentorship program. 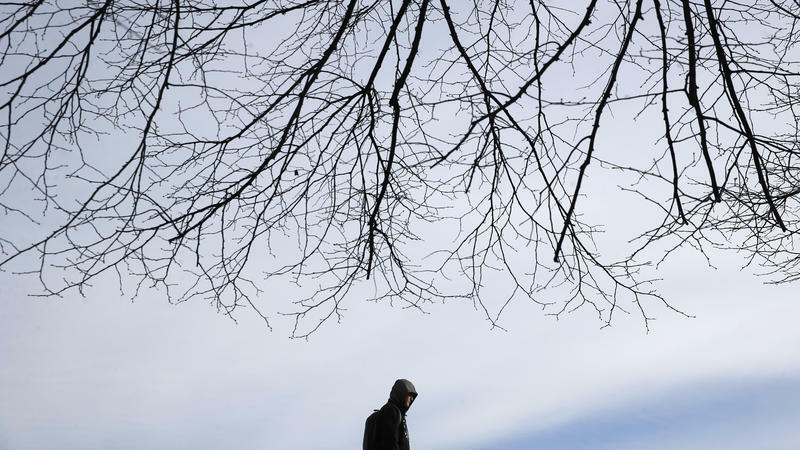 And last year a bipartisan group of lawmakers sponsored legislation that included annual increases in the amount the state reimburses for community behavioral health providers as part of an effort to fight opioid addiction. 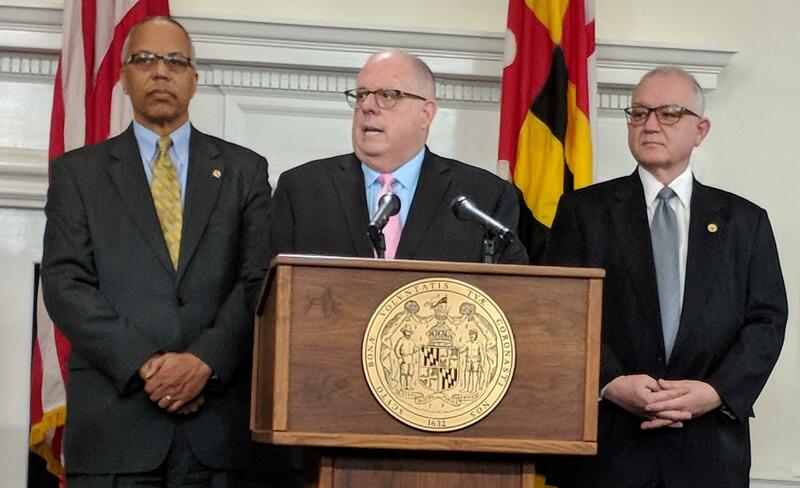 Hogan’s budget reduces that rate increase for next fiscal year. All of these programs are what Hogan refers to as mandates. At a press conference about his proposed budget on Tuesday, the governor chastised the legislature for passing laws in the last couple of years that require annual spending increases. “Currently 84 cents out of every single dollar is mandated spending by the legislature, leaving our administration only the 16 cents to do all of our budget planning, belt-tightening and reining in of spending,” he said. House Appropriations Chairwoman Maggie McIntosh, a Baltimore Democrat, said legislators will likely find a way to restore these cuts, though something else will have to go. One possible source for some of the cut funding, she said, are new programs Hogan has proposed. "He's included $18.8 million for new initiatives that he wants to do — all of them very worthy," she said. "But that's $18.8 million that — I'm not sure the legislature is going to agree with all of it."